Once upon a time, reruns of old TV shows were shown in syndication, often at odd times of day as "filler" programming. 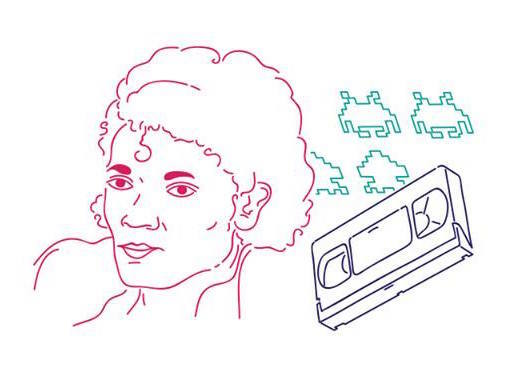 Although that still happens to some extent, then came cable, and when that was still comparatively new, there was a network called Nickelodeon which featured programming geared towards children. But the Nickelodeon cable network realized it had a bit of a problem: after dark, their core audience went to bed and was not allowed to watch television! So executives at Nickelodeon came up with a plan to keep advertisers on board which they called "Nick at Night", with programming consisting mainly of reruns of old network sitcoms to lure adults in to watching it. The plan worked - adults did tune in to watch programs they were familiar with but hadn't seen in a while. Over time, as the number of channels expanded, Viacom turned Nick at Night into "TV Land", a completely separate channel (although Nickelodeon still airs some older programming on Nick@Nite it's now mainly geared towards kids). However, since the advent of digital television, the number of channels has expanded significantly, and today, TV Land isn't alone in showing reruns. In fact, TV Land has been criticized by viewers on Facebook for only showing classic television during odd times and typically in blocks all together rather than an integral part of the programming schedule, instead leaving prime time open to first-run series such as the popular original show "Hot In Cleveland" which stars Betty White, Valerie Bertinelli, Wendie Malick and Jane Leeves as well as "Happily Divorced" which stars "The Nanny" actress Fran Drescher. Fortunately, today, there are a few other networks operating in the classic TV space, notably RTV (Retro Television), Antenna TV and Me-TV (which stands for Memorable Entertainment Television). Of these, I believe all (or most) are available without cable or satellite service (depending on which media market you live in), but via the digital airwaves. For the moment, I have found some of my personal favs on Me-TV. For example, this past summer, they ran a programming schedule called "The Summer of Me-TV", but among the shows that routinely filled their lineup were "The Bob Newhart Show", "Batman", "Get Smart", "Green Acres", "Gumby", the original "Hawaii Five-0", "Happy Days", "Laverne & Shirley", "Lost In Space", "Love American Style", "Mary Tyler Moore", and "That Girl". I know, some of them are actually '60s shows that carried over into the '70s (such as "Get Smart" and "Green Acres"). 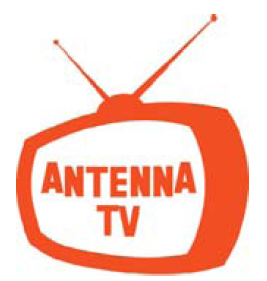 Rival Antenna TV also has a number of shows worth looking into, including "Maude", "The Partridge Family", "Soap", "WKRP in Cincinnati", "Sanford and Son", "Three's Company", "Good Times", "All in the Family" and "Adam-12" as well as a number of shows from the '60s and even one or two from the '80s (who remembers "Too Close for Comfort"?). The simple fact is that much of this is now on the airwaves, so set your DVRs!! 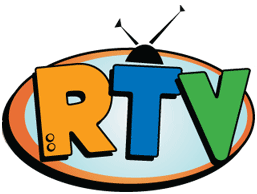 I don't have RTV in my area (which is the NYC media market, but I believe that network has better coverage in smaller media markets), whose lineup includes "Fat Albert" and "Archie" cartoons, "The Bill Cosby Show" (the original, not the '80s blockbuster "Cosby Show" which did not carry Bill's name) as well as the original "Starsky & Hutch". However, joining these retro rerun networks in January 2013 will be a new addition from NBC Universal to be known as Cozi TV. It will be introduced in most of NBC-owned network affiliate markets (except Hartford, Connecticut, although half of Connecticut also receives New York City stations). Cozi TV will try to differentiate itself with movies that haven't aired in a while, but the new network will also be able to draw from NBC Universal's own vast programming library, including more than a few shows that haven't received much recent airplay, including "Magnum P.I.," "Marcus Welby M.D.," "Charlie's Angels," "The Lone Ranger," "Highway to Heaven," "The Six Million Dollar Man," and "The Bionic Woman." Cozi TV also has agreements in place with other distributors, including Sony Pictures, so it will not be drawn exclusively from NBC Universal, but the new network has said it will also leave time ample in the programming schedule for local stations to utilize for local newscasts, local college and/or high school sports or, what has become common in the multi-channel TV environment, paid advertising. The new network's initial branding will be: "Cozi TV. The easiest decision you'll make all day." In the end, competition is usually a good thing. I would say if your favorite old shows aren't on one of the existing networks, there's a good chance they could appear on Cozi TV. Set your DVRs accordingly!